The closest parking structure to the Salvatori Computer Science Center is Parking Structure A (PSA). Guests arriving by vehicle should enter the University Park Campus via Gate 6 on Vermont Avenue across from 36th Place. Parking on campus currently costs $10 per day. 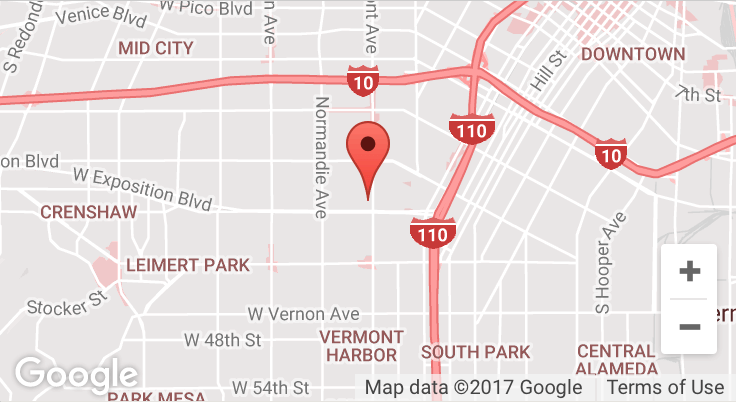 Metered parking is available on Vermont Avenue. Guests arriving by train are advised to exit at the Expo Park/USC station, enter the University Park Campus on the north side of Exposition Boulevard and walk to the Salvatori Computer Science Center. Walk South on McClintock Avenue. Turn left, heading east on West 37th Place. The Salavatori Computer Science Center will be the second building on the left. Enter the University Park Campus on the north side of Exposition Boulevard. Turn left, heading west on Bloom Walk. Turn left, heading south on Watt Way. Turn right, heading west between Seaver Science Library and Powell Hall. The Salvatori Computer Science Center will be straight ahead. Walk North on Vermont Avenue. Turn right, entering the University Park Campus via the Gate 6 entrance at 36th Place. Continue walking East until you reach McClintock Avenue, turn right heading south. Walk past Parking Structure A, turn left onto West 37th Place, heading east. The Salvatori Computer Science Center will be the second building on the left. Continue straight through the light at 37th Street; keep left. Go under the freeway bridge and across Flower Street and Figueroa Street, continue on Exposition Boulevard. Turn right onto Vermont Ave. Turn right onto 36th Place and enter the University Park Campus via Gate 6. Continue across Flower Street and Figueroa Street, continue on Exposition Boulevard. At the end of the off-ramp, turn right at the light. Continue until Vermont Avenue reaches 36th Place. Turn left onto 36th Place and enter the University Park Campus via Gate 6. At the end of the off-ramp, turn left at the light. Transition to the I-10 (Santa Monica) Freeway east, heading toward Los Angeles. Transition to the 110 (Harbor) Freeway south, keep right. Go straight through the light at 37th Street light, keeping left. Continue under the freeway bridge and across Flower Street and Figueroa Street, continue on Exposition Blvd. Guests arriving by taxi or shuttle are advised to inform their driver to enter campus at Gate 1, Exposition Blvd. at Watt Way. If heading east on Exposition Blvd, the driver should make a left onto Watt Way and enter Gate 1. If heading west on Exposition Blvd, the driver should make a right onto Watt Way and enter Gate 1. Once inside Gate 1, the driver should take their first left onto West 37th Place. The Salvatori Computer Science Center will be the second building on the right.